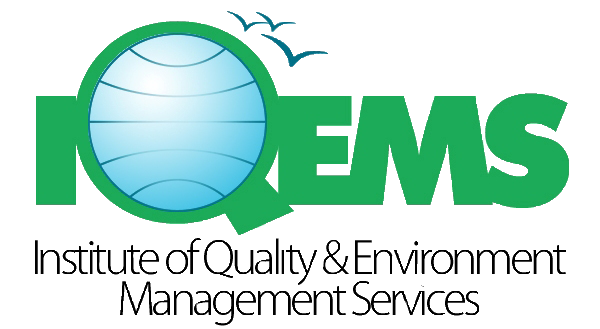 IQEMS is in service since 2½ decade as Quality and Environment Management consultant. Established as a knowledge partner to help individual and organizations to control their destinies by working on specific trainable abilities and by establishing a self-perpetuating process of culture reinforcement. It strengthens the clients vision and values. The goal of IQEMS is to sharpen the focus on company wide programme to bring a cultural change through team building and developing a common language. This in turn reinforces the learning curve of Business Excellence. Our Mission is provide effective, competitive, result oriented and practical Business solutions to the client for optimizing their results and maximize (ROI) return on investment and ultimately achieve set Business Goal. We are committed to achieve “EXCELLENCE” in training, consultancy & inspection services and strive to enhance the efficiency & competency of our customers to their utmost satisfaction through continual improvements. Provide Training & Consultancy services on Management System Standards (QMS / EMS / OHSAS / FSMS / ISMS / Energy Management / External Safety Audit / Energy Audit / Fire Audit) and other related services as required by the Customers throughout the Country. We help you transform your business so that it responds quickly to ever – changing levels of competition, customer expectation and market flux. This means rethinking how processes, people and information can be integrated across your Company. Replacing them with flexible, scalable, productive & cost effective processes by utilizing International Management System Standards and Best Practice tools. We apply the domain expertise to understand the critical issues facing you business & offer proven modules & comprehensive services that streamline processes & reduce complexity of operations. More importantly they are tailored to reduce costs & take your business to a new level of competitive advantage. It’s about being a pioneer in the way you approach a problem and find solutions that exceed your customers’ expectations of you. We have worked with various International certification bodies. Track record of offering practical and ‘Show – how’ type of consultancy. Wide client-base with varied industry profile. A team of experienced, dedicated, young & capable consultants. Flexible and customer friendly approach. In house library with literature on all topics of Total Quality Management. 10 branches spread across India. Qualified Chartered Engineers from different fields. Nepal & Bangladesh operation to be started. If the personal quality is raised, improvement in product quality, service quality and Total Quality automatically follows. IQEMS therefore, focus on personal quality through development of skills such as Leadership skills, Communication skills, Motivation skills, Brain skills, Selling skills, Presentation skills, Negotiating skills, quality Life Management skills and Assertiveness skills. This skill development is achieved not by simply teaching but focusing on behavioral and attitudinal change through reinforcement of research based knowledge by role – playing and guided practice. PEOPLE ARE THE GREATEST RESOURCE If the Personal Quality is raised, improvement in Product Quality, Service Quality and Total Quality automatically follows. IQEMS therefore, focus on Personal Quality through development of skills such as Leadership Skills, Communication Skills, Motivation Skills, Brain skills, Selling Skills, Presentation Skills, Negotiating Skills, Quality Life Management Skills and Assertiveness Skills. This Skill development is achieved not by simply teaching but focusing on behavioral and attitudinal change through reinforcement of research based knowledge by role playing and guided practice.